The Georgian conservatory is effectively a 'double-hipped Edwadian conservatory' but lends itself quite well to the Georgian era. With its bold appearance and clean but stylish design, it really does have a lot to offer to the right property. 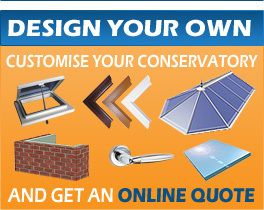 Here at Self Build Conservatories, we can provide a wide range of Georgian conservatory kits tailor made to fit your home so why not get a quote today and save money with SBC.